The following offices and programs offer support for faculty members. The office of academic affairs also supports research activity. Start by contacting The Center for Faculty Excellence. Contact your chair or research enhancement committee member for more information. Consult with your center director, chair or dean about funds that may be available to support research. The following programs are offered by R&I to support research at TAMU-CC. Select the tabs below for details. The Division of Research and Innovation (R&I) administers these funds. Only tenured or tenure-track faculty members are eligible for RE grants. Proposals must state the research to be completed during the award period. Explain in your proposal how the research fits into your research career plans and future research directions. Provide a clear list of the outcomes expected (grant proposals, publications, outreach, pedagogy, etc.). Contact Dan Riechers [ daniel.riechers@tamucc.edu] for assistance preparing submissions as needed. Contact Tuan Phung [ tuan.phung@tamucc.edu] with questions regarding the budget. Key points relevant to this call, evaluation mechanism, and evaluation criteria are found below. The signatures (e-signature accepted) of your college dean and department chair are required on the application by the deadline or your application will be returned unread. Only tenured or tenure-track faculty can apply for RE funds. You can only be awarded Research Enhancement or TCRF Program Grant funds every other year. For proposals that continue multi-year, internal funding programs, the restriction is waived for the TCRF program. This waiver will be noted in the call for proposals. The research enhancement program does not fund projects that are currently or have been recently supported by the university or college research enhancement programs or external funding agencies. Funding for the same, or substantially the same, research project may not be received from both University and College Research Enhancement Committees. Travel is limited to that necessary to conduct research and must comply with university and state rules. The University Research Enhancement Committee will review RE proposals. The University Research Enhancement Committee consists of two representatives elected by each of the colleges to serve for two years with staggered terms. The Vice President for the Division of Research and Innovation chairs the University Research Enhancement Committee, serves as a non-voting member and provides administrative support to the Research Enhancement Program. In addition, priority will be given to new and early-career faculty members and to faculty members who are conducting work in new areas. The proposal must be for more than $5,000. The funds can be used by the faculty and research scientists/fellows for research-related expenditures. For example, travel to a workshop or conference to conduct research (student and international travel are not allowed), travel to meet with a program officer or support for a student-worker to assist with research and scholarship. Proposal plans will be reviewed for likelihood of success. This program supports activities leading to a stronger resubmission. Requests for these funds should be combined with matching support from startup funds, department heads or college deans. The PI must meet with Dan Riechers to create a plan for revision that meets a grant application deadline before July 15, 2019. Only expenses that directly impact the development of an improved resubmission will be considered, such as professional grant writers, travel to meet with program managers or salary for the assistance of a graduate student. Proposal plans will be reviewed for likelihood of success..
A full proposal must be submitted electronically by the deadline. Proposals must include information about existing funding and, if external, approval from OSRA to use those funds as match. Interested faculty and research scientists/fellows who are able to leverage existing post-doc salary should contact Ahmed Mahdy as soon as possible. Please include a short note about the project mentor, work to be performed, and the source of matching funds. The proposal must include a clearly stated plan for later submission of a proposal to a federal or state agency or to a foundation that funds the PI’s new area of research and scholarship. This call requires that a full proposal be submitted electronically. These projects will be funded at up to $20,000. Support of graduate students is strongly encouraged. Award Amount: Undergraduate and graduate students can apply for awards up to $800 each to support research conducted in any degree-granting program on campus under the direction of a faculty mentor. To support student research, the Division of Research and Innovation offers this student research program. The goal of this program is to support student engagement and success through high impact research experiences that increase students’ competitiveness within the workforce or academic careers upon graduation. *Other restrictions may apply. Share your budget with your faculty mentor before applying. The program supports faculty members by providing funds to help with proposal development and writing to external research funding opportunities. Applicants may select their own grant writers after R&I reviews and approves them. Applicants may also request the division to recommend pre-approved grant writers and consultants. Upon submission of a proposal, R&I will survey the team to learn the quality of their grant writer or consultant and will review agency comments on all proposals written by contractors. 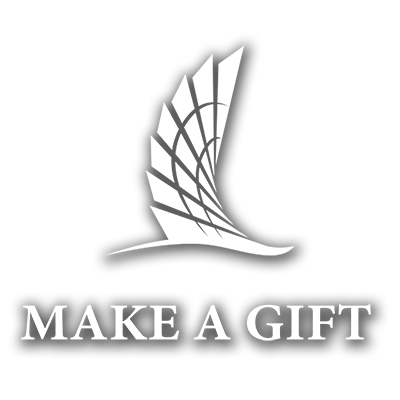 Objective: Impact Multiplier Grants aim to realize this potential and to amplify TAMU-CC’s impact on the local, regional, national, or global community. IMG proposals can be a standalone project, a proof of concept for a larger program, or an extension of an existing program's Broader Impacts. IMG applications will be evaluated on how well TAMU-CC research, knowledge, and activities will be disseminated and applied outside of the University to address economic and social issues. Awarded Impact Multiplier Grants will use research discoveries, educational processes, or institutional activities to create Broader Impacts. This fall, projects that embody a culture of innovation are especially encouraged. The purpose of this program is to support the acquisition or development of capital equipment and infrastructure that will support and increase research activity on our campus. contact Tuan Phung at phung@tamucc.edu with questions. Not accepting applications at this time. Check back in the Fall Semester of 2019. Proposals will be reviewed using the criteria below. The complete application must be received by the deadline or it will be returned without review. "This project was supported by a research grant from the Texas A&M University-Corpus Christi Division of Research and Innovation." Please forward a copy of all published material resulting from this research effort to the Division of Research and Innovation. For general questions, please contact Daniel Riechers at daniel.riechers@tamucc.edu. For budget questions, please contact Tuan Phung at tuan.phung@tamucc.edu. For changes to your approved project, send them both an addendum describing the change and a revised budget with justification.